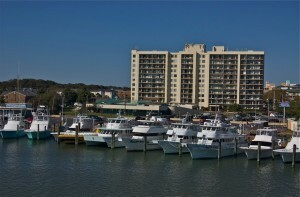 Water front living on Rudee Inlet in Va Beach, Va. 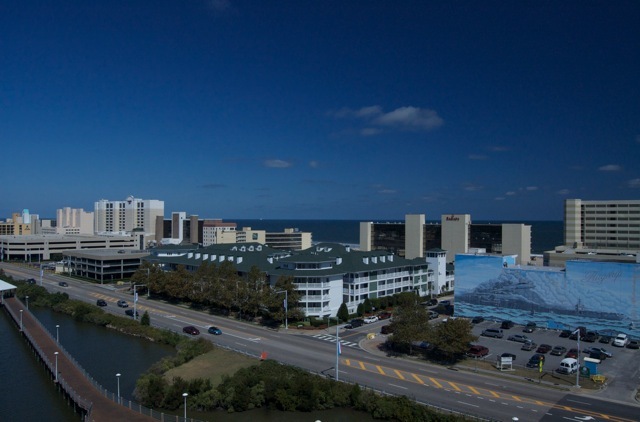 Sitting at the heart of the Ocean Front of Va beach is the 12 story condo building at the corner of Winston Salem Ave and Pacific Ave. 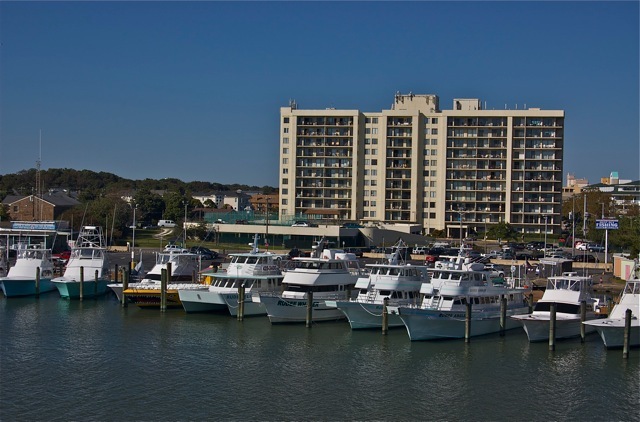 Strategically located at Rudee Inlet … and just 2 blocks off the boardwalk this condo building offers fabulous views of the ocean and Rudee Inlet. Wether you are looking for a second home or permanent condo living lifestyle … you’ll find the price and location attractive. Recent sales have been as low as $255,000 for a typical 2 bedroom 2 bath condo. That’s a bargain for the location. North facing condos have 8 views of the north end of the beach and if your up above the 8th floor you get the bonus views of the Atlantic Ocean as well. 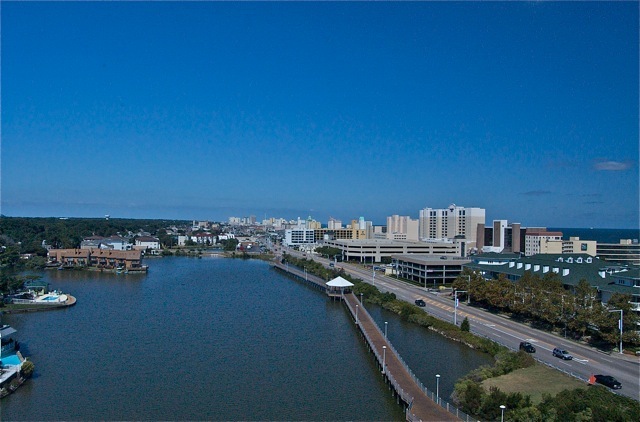 South facing condos all have views of Rudee Inlet harbor and above the 7th floor you have great views of the Atlantic Ocean too. Boating, jet skiing and parasailing adventures are right at your door step. Or kayak on Rudee Inlet and out into the Atlantic Ocean to view the dolphins. The building comes complete with tennis courts, outdoor pool, exercise room, community lounge room and extra storage for each unit on the ground floor. Some covered garage parking is available. Pacific South Condo location is with-in walking distance of many of the best restaurants in town. If your lifestyle choice is condo living … in the heart of the resort …. than this is one of the best values in Va Beach. Affordably priced in the mid $200’s to the low $300’s it doesn’t get any better than this. Condo rental restrictions do not allow weekly rentals but you can rent you unit on a monthly basis. There is demand for short term and yearly rentals. Monthly rental rates command $1300-$1600/month – furnished and slightly less unfurnished, in the off season. 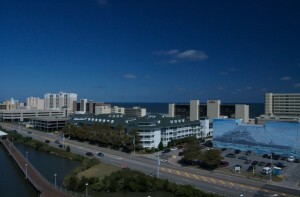 Walk or bike to all the ocean front area attractions and entertainment. Live the water front lifestyle at Pacific South Condo … 500 Pacific Ave at the Rudee Inlet Bridge. Pacific South Condo Building offers spectacular views from almost every floor.